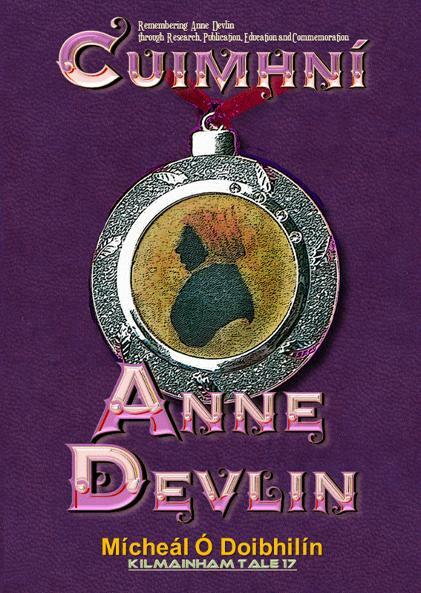 Every year since 2005, Anne Devlin has been remembered around the anniversary of her death in 1851 at mass in St. Catherine’s Church on Meath Street in Dublin’s Liberties – the church she got married in and where her four children were baptised – and at her grave in Glasnevin. The driving force behind this has been Mícheál Ó Doibhilín, who has been fascinated by and an admirer of Anne Devlin and her bravery for over fifty years. Taking advantage of the renewed interest engendered in Anne by the 2003 Bi-Centenary Commemorations of Robert Emmet’s Rebellion of 1803 in 2003, he at first helped found the . Emmet and Devlin Association and through it organised the initial services, but then continued on his own until 2016, when he established Cuimhní Anne Devlin with some like-minded friends – an organisation to remember Anne Devlin through Research, Publication, Education and Commemoration. Each year has been marked by a brief eulogy delivered by Mícheál Ó Doibhilín in St. Catherine’s Church and, more recently, at her graveside in Glasnevin also. Now, in response to many requests, these have been gathered herein to mark the first 12 years of remembrance of this, one of our greatest Irish heroes.